"Hipsters, Hipsters and more Hipsters." There are a A LOT of hipsters in this neighborhood, especially as you go down sunset blvd towards hollywood, the hipsterdom just seems to grow. I live in the part that's closer to Elysian Park however, so while people closer to the lake have little ceasars, whole foods, dominos, vons and a wide variety of other shops, it is just barely out of walking distance for me. The only thing within walking distance of where I am is a CVS and a Burger King, as well as subway, papa johns and a neighboring chinatown, but no real grocery stores. If you look on the map of the neighborhood, people in the southeastern handle of the neighborhood don't really have access to grocery stores within walking distance. The grocery stores in echo park are all closer to the northwestern of part of the neighborhood. So if you want to walk to get your groceries, Ideally you should find a place on sunset blvd or close to it, near the vons or little ceasars. That being said, where I am is where you'll find more middle and old aged folks with children, many of them are asian, and it's next to chinatown. Where you'll find all the young white hipsters is also where you'll find your grocery stores, down sunset blvd towards hollywood--big surprise. There are a lot of place to hang out at night, and plenty of little cafes and stuff. Did I mention that it's full of hipsters? Drive down sunset blvd at 6pm and you're 100% guaranteed to be able to count more hipsters than the fingers on your hands can count. The day you don't see hipsters is the day you should get a lottery ticket. I don't get the feeling that there's a lot of crime in the area, but at the same time I kind of do...Just watch your back, where I am close to chinatown it's pretty safe, not so sure about hipsterland just down the street. But it's more boring and residential here and the hipster part of this neighborhood is a fantastic place for nightlife. It's also in a key location as it's sandwiched between hollywood and downtown and chinatown and dodger stadium. And it has that lake. "Echo Park is more than the lake." I have been a resident of Echo Park since 1973 when my parents moved us there. I have subsequently moved away but have come back to live in the family house after my parents passed away. The neighborhood has seen a big change in both demographics and housing prices. Back iin the 80s you never saw people walking on Echo Park Ave. ( my house is on the main street), Now you see young couples walking their dogs or their kids at all times of the day and night. The locals never really bothered those who lived there but there were lots of gunshots in the back alley at night. Also, there was always tagging on blank walls or garage doors. I have not seen a tagged wall with the ExP on anything in quite a while. There was definitely a feel of being in the"hood". I don't think it was ever like areas in Boyle Heights or other well known East LA hispanic neighborhoods. ( no knock on them, just using as a example). I remember friends saying oh you live in Echo Park? like it was dangerous to come visit, But now say Echo Park and people say oh cool place to live. There is definitely a huge revival of artists and hip young crowd who have moved in. I do not go to music venues any longer but the Echo attracts some good bands. But th e first time I really noticed the change was when I saw a valet service at a new restaurant. lol Who would of ever imagined Echo Park having a valet service. With the neighborhood gentrification, comes the rise in rent for a lot of the shops who have been there. El Batey a small grocery store who had been there for many many years finally closed it doors. It went through the rough years when the local gang would hang out across the street where the new Chevron is now. The neighborhood has become a very safe one to live, walk and it is evident with the foot traffic at night. People who have purchased the craftsman homes have remodeled and updated the gardens giving the neighborhood curb appeal and less of a urban feel. And those who have not taken a walk in the hills of Echo Park should walk the various stairs which leads to some great views and beautiful hideaway homes. Also there are a couple streets that rival any in the Bay Area in terms of steepness. 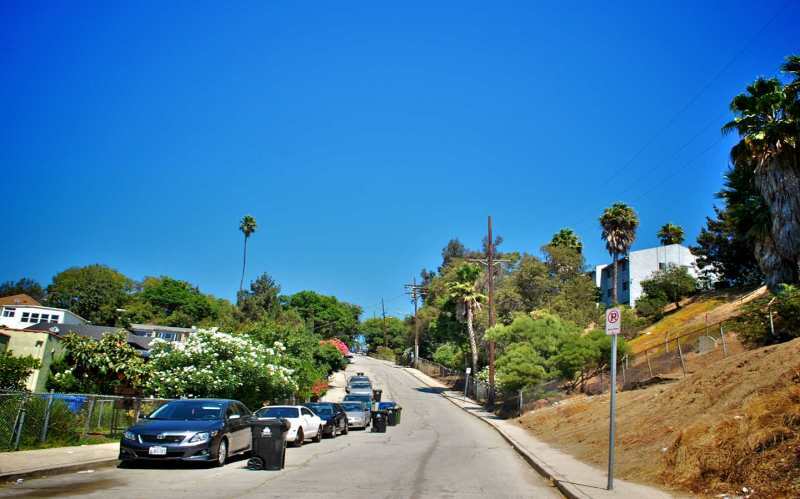 Take a left on Baxter off of Echo Park Ave. and you'll end up on one of the steepest streets in Los Angeles, and its not just one but a drop and another one to climb. It's a roller coaster in someone's front yard. Ewing also has that steep rise and drop. And if you take Echo Park Ave straight to the end, it will wind back down to some side streets going to Riverside Drive. But just before you get there, there is a house which has a tram going up to it. You will find some very beautiful hideaway houses in the hills but the con to that is it gets a little congested in the tiny street with cars on both sides parked. 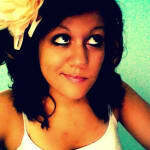 But patience and the right timing and a drive through the lovely hills of the neighborhood would be a nice sight. I don't think anyone has mention Elysian Park and proximity to Chavez Ravine home of our Dodgers team. To me it is still one of the best ball parks in the country. Its view of the Los Angeles downtown skyline on a warm summer night is a sight to behold and the stadium is still well kept. Echo Park is no longer an annex of Silverlake as I have heard it being referred to but we have our own sign proudly displaying the name Echo Park. Echo Park is an urban neighborhood West of LA and just NorthWest of Dodgers Stadium. It is centrally located between the 110 Glendale Freeway and the 5. Echo Park is broken into two areas Angelino Heights and Elysian Heights. Angelino Heights architecture almost has a San Francisco feel (on a small scale) with hills and Victorian bungalows and larger homes. On some streets the houses are built on an angle which makes for very nice curb appeal. The area feels historic for Los Angeles. The original stores and the Bank of America on Sunset and Echo Park are a good example of the old commercial architecture. Echo Park is going back to its roots as a creative and artistic center for Los Angeles. The original silent film studios originated in Echo Park including Elendale and Keystone Studios. Other creatives who have called Echo Park home at one point or another are Steve McQueen, Frank Zappa and Shia La Beouf. 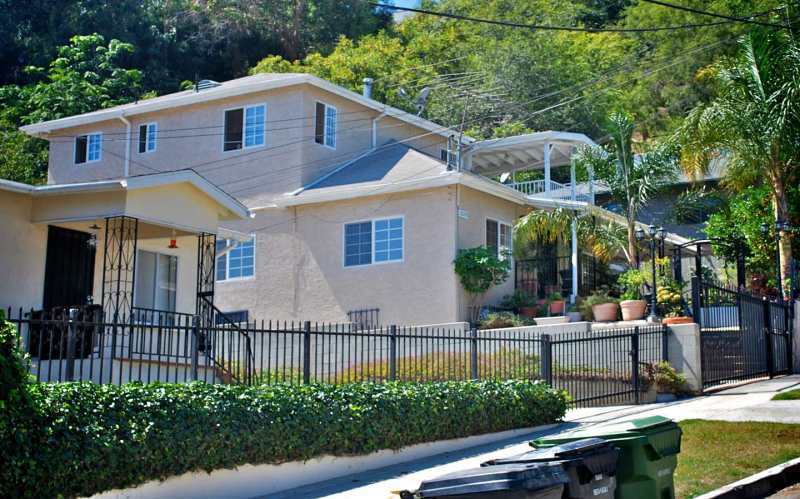 It is definitely growing in popularity and a better value than Silver Lake and Los Feliz. Home prices ranged from $360,000 to $1.4 million at the time of writing the review. Rentals ranged from $1,200 for a 1 bedroom to $3,300 for a 2-3 bedroom. "Strong Echoes of Bohemian Past"
I should have mentioned Echo Park as part of “Hipster Heaven,” the set of neighborhoods in this section of LA that has a high percentage of the skinny-jeaned, vintage shirt wearing crowd. It definitely has its share of hyper-cool nightspots, like El Prado, a wine-bar that is more like a neighborhood watering hole (mostly locals) and The Short Stop, which is more dive bar than sports bar, drawing a lot of leather jackets and scruffy looking types. (There are also the dive bars, The Gold Room and Little Cocktails, just to name a couple.) 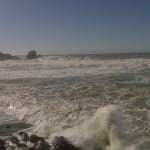 If you are into dancing, The Echo or Bootie LA are the places to go. Its easy to take Echo Park for granted because it has been an artists’ enclave for so long that we just come to expect it. But for a while it stopped being known for its dive bars and for being home to Eagles singer Don Henley, poet Charles Bukowski and movie makers, and came to be known for gangs and shootings. 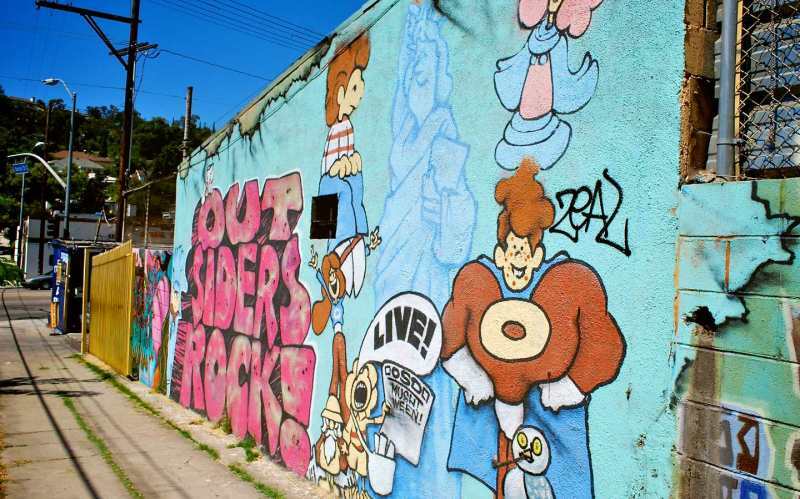 That was Echo Park in the late 80’s and 90’s—a place you heard about on the local news nightly. Its calmed down now and is returning to its true Bohemian self, with a great ethnic mix and lots of old and young hipster artist types mixing it up. It’s a great messy environment perfect for the postmodern punks of today. As far as living there, the hilly area of Echo Park is very cute. 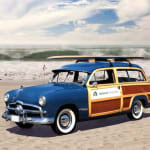 It has leafy sloped streets and tiny Ranch and Mission-Bungalow hybrid style homes with well kept gardens. Everything in this area is micro-sized, little homes, little lots, little cars—its kind of like a munchkin village—which is part of what is so appealing about it. The homes all seem to be well-kept with attractive lime greens and pastels—as if the city planner had Georgia O’Keefe’s palate. The farther you move up into the hills, the narrower the streets and the more attractive and diverse the architectural styles of the homes become. You still get ranch houses and the tiled roofs of Spanish styles, but now as you stare past the bushy hedges, you can see the pointy tips of Tudors and even occasional Victorians sticking up from behind these privacy barriers. Echo Park Lake is the heart of the neighborhood. Its beautiful waterspouts and palm tree filled island, make for one of the most picturesque frames for the LA skyline. It also has a great play area occasionally frequented by celebrities in a family way. There are definitely some downsides to this neighborhood, however. One is the crime. It is not so much that it is high—if you look at most ratings, the neighborhood is actually about average for LA, but the dense living situation means that you are just much more aware of it than in other areas. There are nightly car alarms and if you are light sleeper, you will be woken by the sounds of the helicopters buzzing by overhead. In terms of violent crime, it slightly on the upper end of average with about four murders per year, about one for every 10,000 residents—most having to do with the gang problems that you get in the area. This is also far from ideal family living. Not only do you worry about the gang and drug elements in the area, but the schools are also sub par. Belmont and the main middle school that serve the area are ranked at the very bottom of most objective measures, earning the lowest possible 1/10 API rating, and having missed more than a dozen government bench marks year after year. Even the elementary schools rank low in the area. Put simply, you don’t want to try to raise kids here—move to nearby Glassell Park with all the other former twentysomething hipsters when they get in a family way. All in all, this is one of the really great neighborhoods in LA—not perfect for everybody, but ideal if you are a twenty something free-spirit. 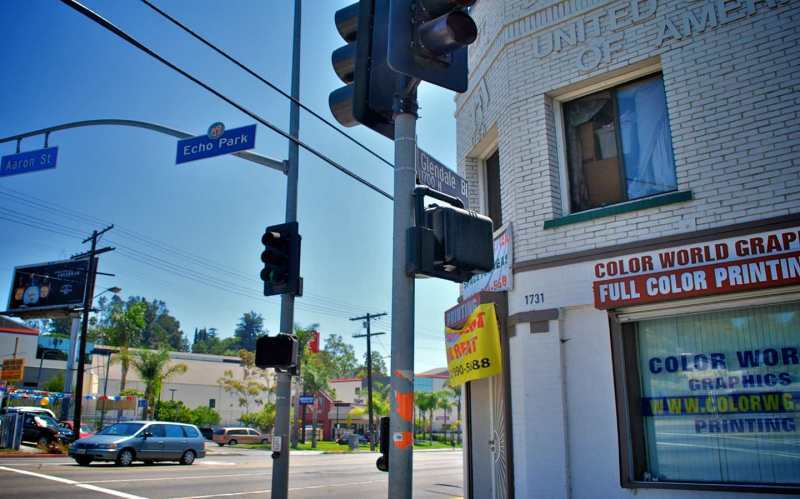 Echo Park is an extremely culturally, ethnically, sexually diverse area which includes a small African-American enclave, a large Latin community as well as a prominent Asian population. It is known, among other things, to be home to some great Mexican and Latin American eateries, taco trucks, bakeries and markets. Echo Park is known for it's culture, diversity, and sexual diverse nature. This area has a very strong community of minorities. It is a great place to raise a family, as the community and friendship is very apparent throughout the area. Although in the past Echo Park has created the reputation for being a very artsy community. However, it now is more known for it's hip-hop and young artistic culture. Despite the changes in the area over the year, it still remains one of the most strong, family oriented neighborhoods in the LA area. Echo Park is home to many annual festivals and celebrations, such as the Lotus Festival. there are various film festivals, and art exhibits. If you're looking for culture, a familial atmosphere, and diversity - Echo Park is the place. "Neighborhood is really cool now"
Echo Park was of the first neighborhoods in Los Angeles and it has always been a melting pot of sort of radical / artsy people. This is the neighborhood that all of the studios and silent film actors used to live before they moved out to Hollywood. Somewhere around the '60's a big influx of Latinos came into the neighborhood, and for many years Echo Park was a pretty sketchy to place. But, artsy people definitely still remained (Elliott Smith lived here up until he died). About 5 years ago, the artsters were back in full force trickling over from the way too hip Silverlake. So, Echo Park has re-cemented itself as the creative community of Los Angeles. I'm really glad this happened because Echo Park is beautiful. I took a walking tour of the neighborhood about 2 years ago. It's called The Stairs of Echo Park. It was one of the coolest things I've ever done in the city and I can't recommend it enough if you like to learn about the city in which you live. Apparently, Echo Park was built all throughout the hills and everyone left their horses and carriages down in the ravines below and walked up massive amounts of stairs to get home every day. All of the views from the houses we visited on the tour were incredible and a few of the streets are still only accessible by stairs. The actual park of Echo Park is quite lovely too. You can take rowboats out on the lake and feel like you're in the movie Chinatown! Some of the buildings are still pretty run down and it's right next to Downtown, so it's not exactly central. But, it's one of the most diverse neighborhoods in the country, let alone the city. And, man, Echo Park is just so cool.